As early as toddler hood, a child can begin to experience and understand mindfulness. When a child is in a good mood, mindfulness exercises can help him become familiar with the sensation of happiness and gratitude and when he gets upset, mindfulness can help him move on from the fleeting experiences that made him cry to less upsetting sensations. 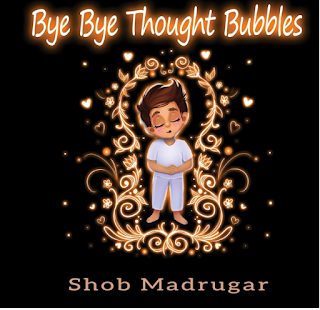 "Bye Bye Thought Bubbles" will help parents talk about “breath” and introduce the word “thoughts” to young children and help start their mindfulness journey.